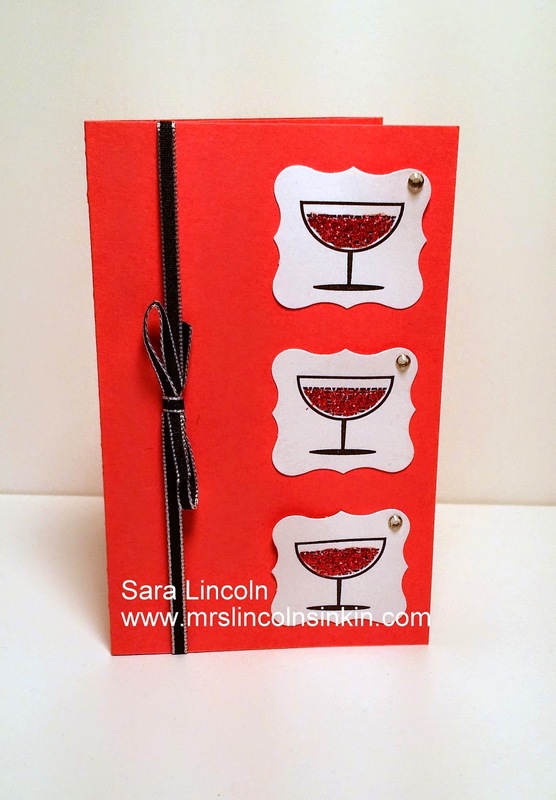 Mrs. Lincoln's Inkin: Cheers to You Diorama Card!!! 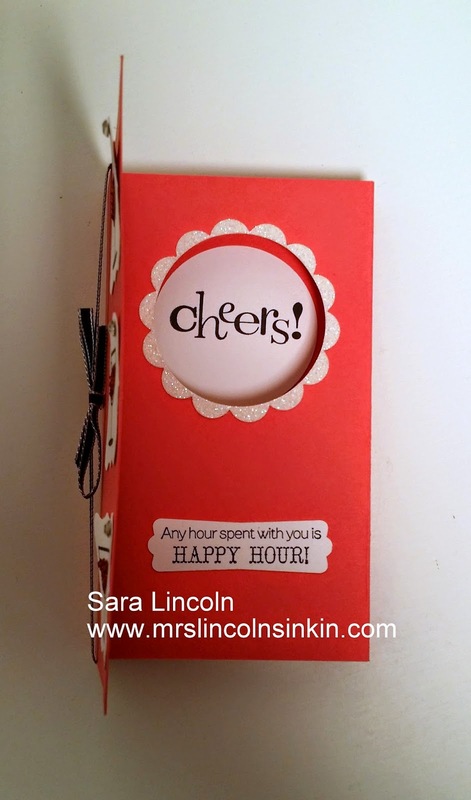 Cheers to You Diorama Card!!! Why hello all!! 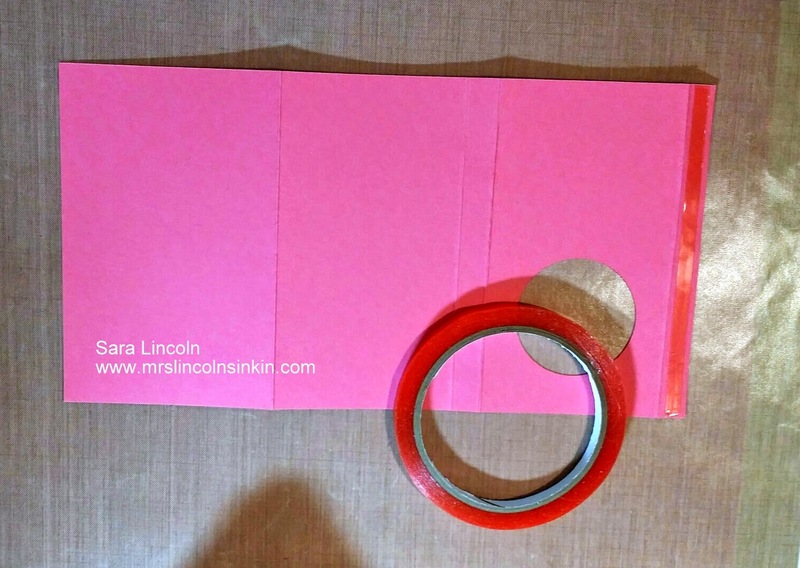 Thanks for stopping by Mrs. Lincoln's Inkin' today. 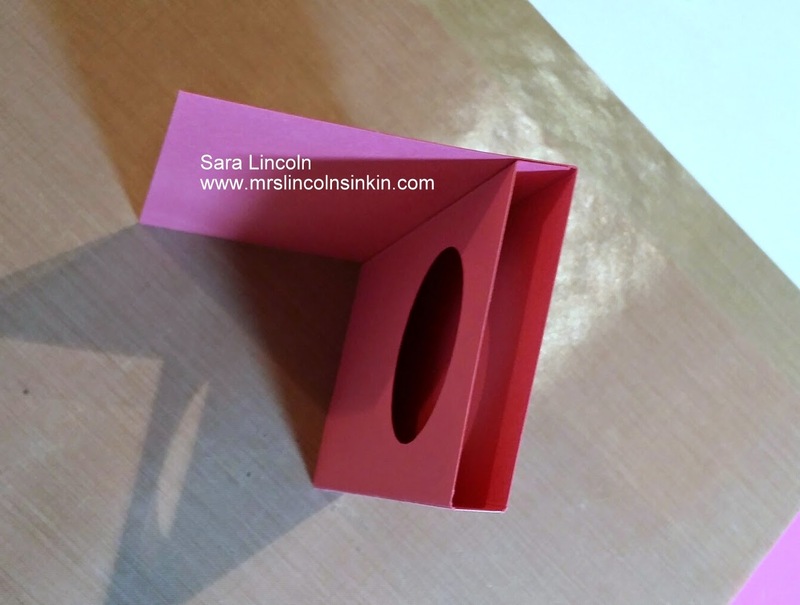 So, I know that normally I post a Friday Video but I have been sick with a scratchy throat so instead of subjecting you to my voice, I thought I would just do picture tutorial of the project that I was going to video. Isn't that stinkin' cute!! Oh I just love it and like I said they are super easy to make. Let's take a look at how to put them together. 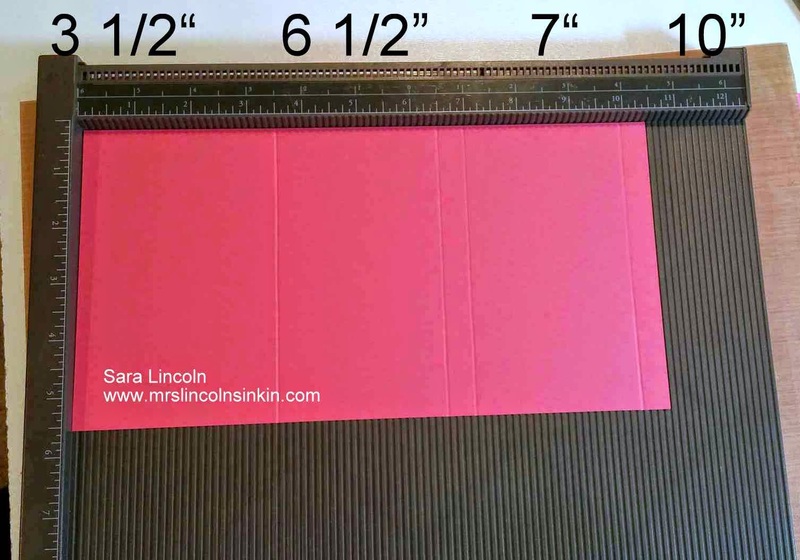 Next, with the 10 1/2" side on the top of your Simply Scored (or your Stampin' Trimmer), you are going to need to score at 3 1/2", 6 1/2", 7" and 10". Once that is done make sure to reinforce all of your score lines. 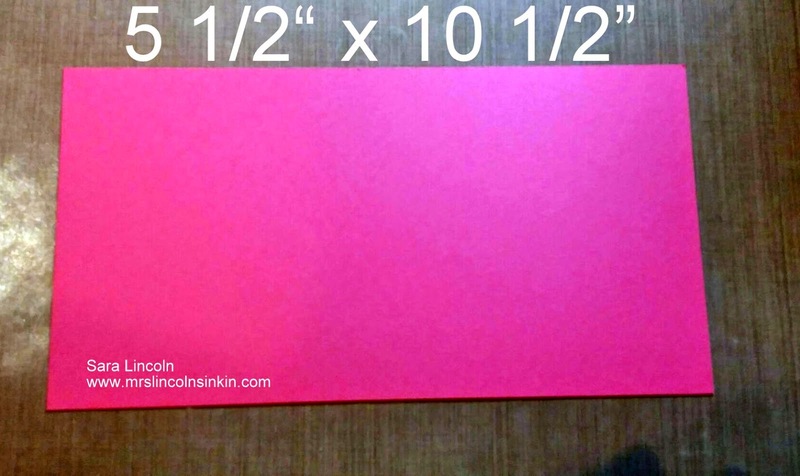 Then between your 7" and your 10" score marks take your 2" circle punch and place your card stock in as far as it will go. 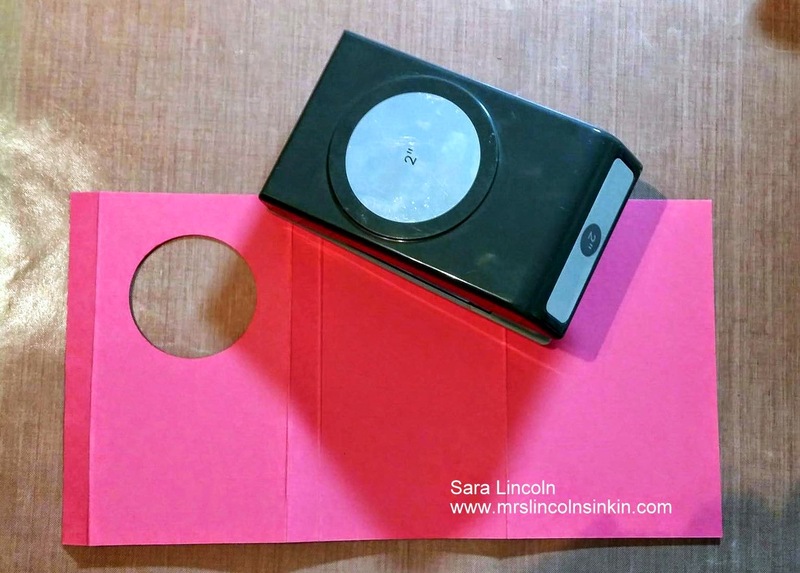 Center it and punch out your circle (you can really use any shape that you would like, I just chose the Circle). 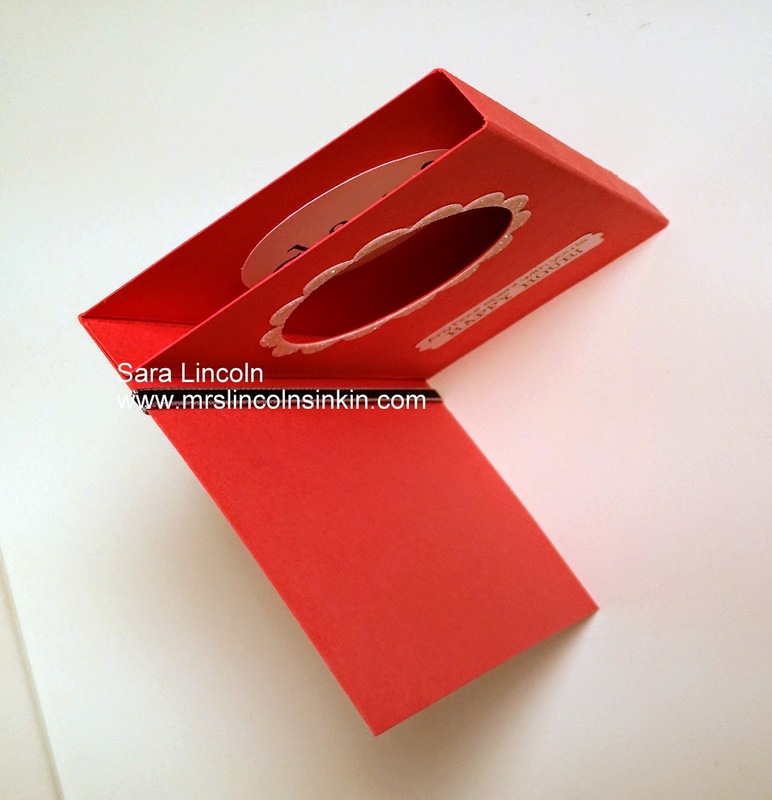 Then you are going to fold your card in. 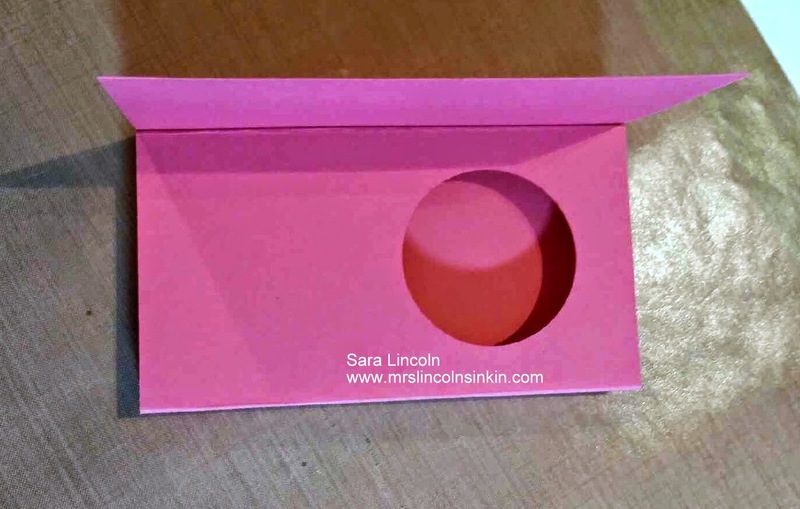 Making sure that the part with the Sticky Strip gets folded inward so that it can adhere to the other side, this is what of course makes your Diorama:) At this point, you would find the image, or greeting, that you want inside your circle, punch it out with the 2" circle punch and then place inside the already punched circle. Now when you stand it up it will look like this. Don't forget before you leave to check out the Retiring List that is updated every day.